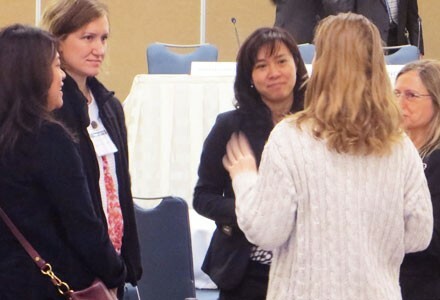 We're excited to introduce Women's IP Strategy, a 2-day conference that tackles both the IP, legal as well as broader career development obstacles, risks and rewards for women lawyers working in male-dominant industries. What is the best way to manage your career in IP? 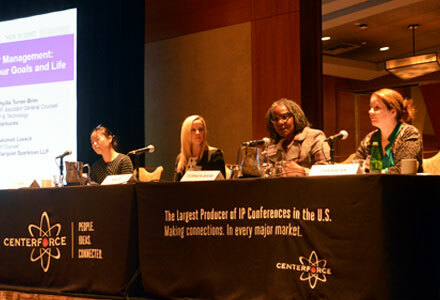 What are lessons learned from female and minority litigators? What are the best approaches to promoting yourself? Is your current patent law skillset future proof? 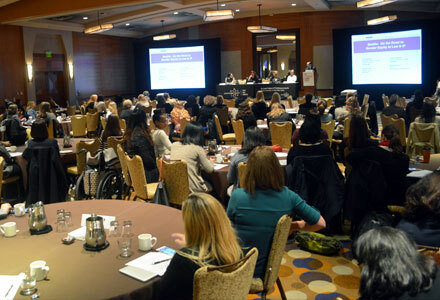 Join 120+ other female IP in-house counsel to enhance your career - and trigger wider change – through an immersive, interactive learning and networking forum with speakers representing Silicon Valley's key industries. DAY TWO focuses on diversity and change. Allison Amadia’s latest role in her impressive and diverse 25+ year legal career is as General Counsel, Chief Compliance Officer and Corporate Secretary of Personal Capital, a leading digital wealth management company transforming financial lives through technology and people, where she oversees the company’s legal and compliance functions. Before taking in-house roles as General Counsel and Chief Compliance Officer at Extreme Networks and, more recently, Handle Financial Inc., Allison successfully founded and managed a consulting firm representing public and private technology companies. Allison is a former lecturer at University of Santa Clara School of Law where she taught for several years on Technology Licensing, including source code, SaaS, cloud, and other complex licensing strategies. From time to time, Allison participates on panels to share her perspective on a range of topics including business acumen for lawyers, complex technology transactions, IP protection, information security, privacy and compliance, women’s leadership and team building. She also currently serves as Vice Chair of the Dean’s Advisory Council for the College of Letters & Science, UC Davis. Suhani Akhare is a Senior Corporate Counsel at practicing securities law, corporate governance, HR, M&A and ethics and compliance matters at Anaplan, Inc. Ms. Akhare’s broad-based practice encompasses compliance with federal and state securities regulations for public companies, SEC filings and '34 Act reports, compliance with stock exchange listing rules (NASDAQ & NYSE), corporate governance, subsidiary management, Reg FD compliance for earnings reports and press releases, matters for the board of directors, stock administration and equity plans including ESPP, Section 16 reporting, 10b5 plans, merger and acquisition transactions, strategic alliance agreements with corporate partners, development and negotiation of licensing agreements including cross-border licensing, China & Asia joint venture agreements, investment company matters and liquidity events including asset sales. Ms. Akhare's experience includes supporting the corporate development, tax, treasury, finance, stock administration, executive compensation, compliance and investor relations functions in-house. Having owned and operated a small business, Ms. Akhare brings an entrepreneurial bend to her practice and understands the importance of law as a tool to facilitate business. Lily Toy has been Telenav’s general counsel and corporate secretary since August 2017. Prior to that, she served as the company’s acting general counsel/corporate secretary, assistant general counsel, and senior corporate counsel. Before joining the company in December 2010, she was a senior corporate associate at K&L Gates LLP, an associate in the Corporate Group of Fenwick & West LLP, and a corporate associate with Shearman & Sterling LLP. Lily earned her J.D. from Cornell Law School in 2004, and her B.A. Economics (with honors) and Legal Studies from the University of California, Berkeley in 2001. During law school, she was a judicial extern for the Honorable Alan Jaroslovsky of the United States Bankruptcy Court. Trisha Aylor Mauer is General Counsel at Axiom and Nike. Trisha is an experienced General Counsel with expertise in sports and entertainment law, data privacy, commercial contracts, and all facets of work as in-house counsel. Previous to joining Axiom and Nike, Ms. Mauer was General Counsel of Kendo Brands, World Triathlon Corporation (owner of the Ironman brand), and has also worked for eBay, StubHub, Williams-Sonoma, Coca-Cola, and Turner Broadcasting. Ms. Mauer graduated in 1999 from UC Hastings College of the Law. Ellen S. Robbins is a trial lawyer with extensive experience litigating disputes in both state and federal court on behalf of public and private companies all over the world. 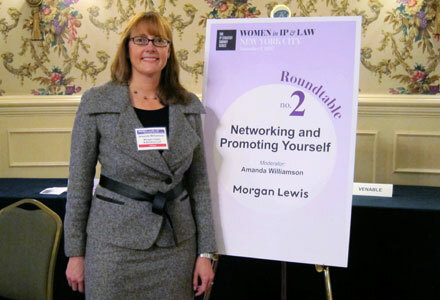 She focuses her practice on complex commercial disputes and patent litigation. Ellen’s work includes commercial matters such as breach of contract, fraud, unfair competition, alter ego, securities law, product liability, class actions, insolvency, and misappropriation. Following a federal court bench trial involving issues of alter ego and fraudulent transfer, Ellen secured a $40 million judgment for a Fortune 500 company that was affirmed on appeal. She also successfully obtained a preliminary injunction in a substantial securities fraud case representing a leading financial institution. Ellen also incorporates alternative dispute resolution into her practice; she has first-chaired nearly two dozen arbitrations and mediations, including AAA, NASD, and NYSE arbitrations. Ellen’s experience also encompasses intellectual property, patent litigation, and handling several matters before the International Trade Commission. Ellen served as trial counsel in five district court and ITC proceedings in the Microsoft/Motorola smart phone patent litigation, including a landmark bench trial setting a RAND royalty for standard essentials patents and obtaining a jury verdict for Microsoft in the district court proceedings. Yisun’s practice focuses on litigation and intellectual property. Yisun’s practice focuses on all aspects of intellectual property law including patent prosecution, patent litigation and counseling related to electronics, software, e-commerce, business methods, semiconductors and communications. Yisun is registered to practice before the U.S. Patent & Trademark Office and prior to joining the firm, worked at the Patent Trademark Office as a patent examiner. In this role, Yisun examined patent applications directed to semiconductor lasers and optical fiber devices. Energy Transportation Group, Inc. v. Sonic Innovations, Inc. et al., (D. Del.) and (Fed. Cir.) Represented patent holder in an infringement matter involving hearing aid patents. The jury returned a verdict for client ETG, finding willful patent infringement and awarded damages of $31 million against two defendants. The Federal Circuit affirmed the jury’s verdict and the trial court’s post-trial rulings. 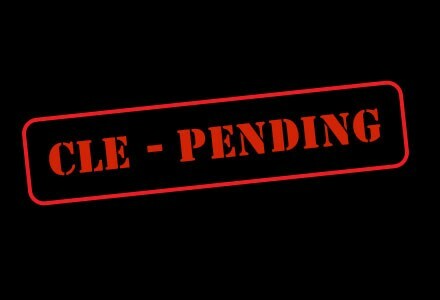 Appellate and reexamination counsel for NTP, In re NTP, Court of Appeals for the Federal Circuit, on eight separate appeals from the U.S. Patent and Trademark Board of Appeals and Interferences related to eight patent, resulting in reversal of PTO decision denying seven NTP patents. ePlus vs. SAP AG and SAP America, Inc. (E.D. Va.) Represented patent owner ePlus in infringement action involving electronic procurement systems. Following a four week trial, the case was favorably settled while awaiting the court's decision. Represented major banking and financial services institution in infringement matter involving payment systems and verification techniques. The case was favorably settled following the completion of fact discovery. Prepared and prosecuted patent applications in the electrical arts, including inventions relating to wireless communications, digital signal processing systems, computer network systems, optical telecommunication devices, computer software algorithms, integrated circuit devices and search engines. Prepared and prosecuted patent applications in the financial industry, including inventions relating to card products, check processing, financial algorithms, investment products, healthcare applications and database management. Rendered opinions concerning the infringement, validity and enforceability of patents. Prepared and negotiated intellectual property license agreements. Conducted due diligence review for acquisition of patent portfolios. Participated in complex patent prosecution, including petitions, appeals, re-examinations and reissues. Tara Stauduhar is the Senior Director, Legal Counsel at Navis LLC. Previously she worked as the Contracts Manager for Zebra Enterprise Solutions where she was responsible drafting, negotiating and advising on all out-bound and in-bound contracts for ZES LLC, the wholly owned subsidiary of Zebra Technologies Corporation; ZES was the software division of Zebra. Tara also worked for IBM after their acquisition of Micromuse where she assisted in various legal matters, including auditing, reviewing and reporting on all open source software integrated into the Micromuse products. She attended Skidmore College and later on received her law degree from Golden State University School of Law. Katherine is the global head of cleverbridge's legal team. She advises cleverbridge's executives and business leaders on their most important strategic initiatives and business relationships. Prior to cleverbridge, Katherine was a partner and experienced trial lawyer at Bartlit Beck. Katherine is an elected member of the American Law Institute and a Fellow of the American Bar Association. Katherine was named a Best Lawyers' Women of Influence and one of Crain's Most Influential Women Lawyers in Chicago in 2017, one of the Women's Bar Association of Illinois's Top Women Lawyers in Leadership in 2016, and one of the Law Bulletin’s “40 Under 40” Illinois attorneys in 2014. Katherine is a past-President of the Coalition for Women’s Initiatives in Law and a founding member of the US Soccer Development Council. She is also a former McKinsey consultant and, after law school, clerked for the Honorable Diane P. Wood on the U.S. Court of Appeals for the Seventh Circuit. Janet Loduca is Vice President, Deputy General Counsel for Pacific Gas and Electric Company. In this role, she oversees the company’s litigation, claims, regulatory, and policy legal strategies, as well as the overall department operations, including budget and outside counsel management. Loduca joined Pacific Gas and Electric Company in 2000 and has held a number of positions including, most recently, vice president, Investor Relations where she was responsible for providing the investment community with information about the Corporation and its operational and financial performance. Prior to this role, Loduca was the vice president of Safety, Health and Environment, where she led employee and contractor safety programs and oversaw the company’s land and environmental programs and policies, and vice president of Corporate Relations, where she was responsible for the company’s internal and external communications. She has also served as the chief of staff to Pacific Gas and Electric Company’s former President and has held positions in the Regulatory Affairs organization and Law department. Before joining PG&E, Loduca was an environmental attorney in private practice and an environmental prosecutor with the U.S. Department of Justice. Loduca holds a bachelor’s degree in political science from the University of Washington and a law degree from the University of San Francisco. She also serves on the board of directors for Girls Inc. of Alameda. Rachel Yuen is currently Senior Counsel at SurveyMonkey. She previously worked at Verifone, TCV, Simpson Thacher & Barlett LLP. Rachel received her Bachelor of Arts Degree from the University of Western Ontario - Richard Ivey School of Business and went on to attend Cornell Law School. Chandrika Vira is a director in Sterne Kessler’s Trial & Appellate and Biotechnology & Chemical Practice Groups. Chandrika represents clients in complex patent litigations in federal district courts, in contested proceedings before the Patent Trial and Appeal Board, and before the Federal Circuit on appeal. Chandrika has litigated cases involving a broad range of technologies in the pharmaceutical, biotechnological arts, and electrical arts. Chandrika focuses her practice on litigating cases involving small-molecule pharmaceuticals under the Hatch-Waxman Act and biologics and biosimilars under the Biologics Price Competition and Innovation Act (BPCIA). In 2017 and 2018, Chandrika was named a "Rising Star" in Intellectual Property by Super Lawyers. Prior to law school, Chandrika worked as a consultant for two technology companies where she advised companies on implementing technological solutions. While in law school at The George Washington University, Chandrika participated in the Law Students in Court Clinic where she had the opportunity to represent clients in the Superior Court of the District of Columbia in the Criminal Division. Chandrika received her B.A. in molecular biology from Coe College. Flavia Naves is a legal professional who works with corporate executives to help them achieve their business strategies while attending to legal and compliance requirements. Flavia is a strong believer that by engaging with the business early in the product strategy process, and counseling them on the legal parameters to consider, one can deliver outstanding customer experiences! Flavia currently works as Assistant General Counsel, Payments at Intuit Inc., and previously was US counsel for eCommerce Operations at Worldpay Ltd. Flavia is a licensed attorney in California, the District of Columbia, and Brazil, and holds a law degree from Pontifícia Universidade Católica de Minas Gerais, with continued legal studies at Widener University. Archana Bhuta is the Associate General Counsel, Head of IP Legal at SRI International. SRI is an independent, nonprofit research center that works with clients to take the most advanced R&D from the laboratory to the marketplace. For more than 70 years, SRI has led the discovery and design of ground-breaking products, technologies, and industries – from Siri and online banking to medical ultrasound, motorcycle riding robots, cancer treatments, and much more. Previously, Ms. Bhuta was the Director of IP Portfolio at LeEco (US) where she headed the development of IP. LeEco is a global technology company that provides breakthrough experiences through its open, integrated ecosystem of streaming content, platforms, and smart devices that fit perfectly into a broad spectrum of lifestyles including content spanning smartphones, TVs, sports, film, live entertainment and connected mobility. Prior to joining LeEco, Ms. Bhuta was the Director of IP at Pebble Technology Corp. Pebble was the world’s most successful independent smartwatch company, having launched two successful, record-breaking Kickstarter campaigns and selling well over one million watches globally. Ms. Bhuta headed IP at Pebble where she created global programs and strategy for patents, trademarks and copyrights. Prior to joining Pebble, Ms. Bhuta was the Director of Patents at Juniper Networks. Juniper Networks delivers innovative software, silicon and systems that transform the experience and economics of networking. Ms. Bhuta managed the overall patent program at Juniper as well as counseled Juniper’s software, routing and switching business groups on patent portfolio growth and management. Prior to this role, Ms. Bhuta acted as chief counsel for Juniper's security related business group where she led the IP due diligence and IP integration of the $95M acquisition of Altor Networks, $70M acquisition of SMobile Systems, Inc., IP asset acquisition of Blackwave, Inc. and the acquisition of patents from Bitgravity, Inc. Prior to joining Juniper Networks, Ms. Bhuta was at Sun Microsystems where she was responsible for patent litigation, patent portfolio development, copyright counseling and IP licensing and in private practice at Weil Gotshal & Manges focusing on IP litigation and at Blakely Sokoloff Taylor & Zafman focusing on patent prosecution, due diligence and opinion work. Ms. Bhuta obtained her J.D. degree from the John Marshall Law School and a B.S. in Mechanical Engineering from Purdue University. Sue Bunnell is a pragmatic and results-focused legal leader. She put her 20+years of experience in technology, IP, security/privacy, and outsourcing to great use when counseling Wells Fargo executive leadership on a wide range of legal, regulatory and administrative functions for its extensive third party service provider population, sustainability and green energy efforts, and diverse corporate properties. She has worked in and around cloud computing, payments processing, renewable energy, AI, distributed ledger/block chain and other innovative fintech solutions. Ms. Bunnell is an outspoken advocate for professional women, and serve as the Co-Chair of the board of LWT: Advancing Women in Leadership (more at www.LWTleadership.org). She enjoys speaking and facilitating workshops in the Bay Area on effective negotiation and self-advocacy skills, gender equity, personal change management, and talent development. Nilanka Maldeniya is Assistant General Counsel at AMD’s (Advanced Micro Devices) headquarters in Santa Clara, California. She represents the business in diverse commercial and hardware/software licensing matters and manages the company’s marketing legal function and global trademark portfolio. Prior to AMD, Nilanka was in private practice at the leading Toronto law firms of Davies Ward Phillips & Vineberg LLP and Cassels Brock & Blackwell LLP where she focused on corporate/securities law and commercial/regulatory insurance law, respectively. Nilanka has authored numerous articles on insurance law matters and previously spoken on the topics of Anti-Bribery and Foreign Corruption Practices and M&A Legal Challenges. She has also been a speaker at Global IP conferences on the topic of Blockchain, and frequently speaks at Women in IP & Leadership Summits on topics ranging from Pay Equity to Self-Advocacy. Nilanka received her J.D. from Osgoode Hall Law School in Toronto, Canada. She is a dual-licensed attorney, being a member of the California Bar as well as of the Law Society of Upper Canada. Nilanka also moonlights as a children’s book author. She recently released the two series, My Favorite and Riana’s Adventures, for the 4-8 year age group and a couple of standalone titles for toddlers, all of which are available on Amazon and other global etailers and retailers. Learn more at www.nilankamaldeniya.com. Sharon Wong is an Assistant Director of Patents with Intel Corporation, where she oversees the international portfolio as well as wireless technology area. Prior to joining Intel, Sharon was in private practice at Irell and Manella LLP and Robbins, Berliner and Carson LLP, where she handled patent prosecution, litigation, licensing and other transactional matters. Before transitioning to law, Sharon was a satellite design engineer at TRW Space and Communications. She received her BS Electrical Engineering from UCLA and JD from Loyola Law School.